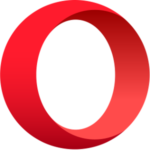 The Opera web browser has introduced a lot of cutting-edge features* over the years, many of which have since become standard in other browsers like Firefox, Chrome, IE and Safari. But they’ve also introduced features that didn’t catch on. 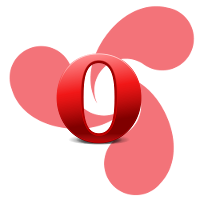 With Opera 12, released yesterday, they’ve taken the first step toward removing Opera Unite and Widgets. 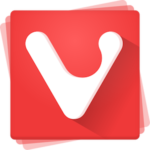 Opera Unite was a fantastic idea to move beyond the standard client-server model that dominates most internet activity and take peer-to-peer communication to the next level. Instead of relying on central servers like Facebook or MSN or Gmail, you could run a chat room, photo gallery or other application directly from your computer. It never really caught on. If I were to guess why, I’d say that the big reasons were security concerns (turning your computer into a server! ), the rise of easy-to-use cloud services, and the increasing move toward mobile computing. It’s one thing to let friends remotely browse a photo gallery from your home desktop that you leave on all the time. It’s another to have them view that gallery data from your iPad over your sketchy and bandwidth-capped cell connection. As for widgets, they were sort of an odd thing to begin with: not quite applets, not quite extensions, and in competition with native widgets on both Windows and Mac OS that didn’t depend on having a browser open. (Though these days, when don’t you have a browser open?) Honestly, I’m still somewhat mystified as to why Opera created them in the first place. Opera 11 introduced an extension system, and they’ve released a reference on converting widgets to extensions. *I still disagree on the issue of tabs, on the basis that a tabbed interface is distinct from MDI. 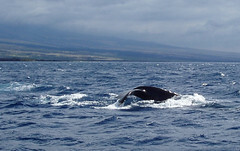 This entry was posted in Software and tagged browser, Opera, widgets on June 14, 2012 by Kelson. It’s not a huge surprise, with all the major web browsers adding their own bookmark sync services, but Xmarks (formerly Foxmarks) is shutting down in January. I figure I’ll just use Firefox Sync, Chrome sync, Opera Link, etc. to share bookmarks between the desktop and laptop, but what I really liked Xmarks for was its ability to sync different browsers together. I’m always switching between Chrome, Firefox, Opera and Safari (and occasionally IE when I’m on a Windows box) and it’s nice to have them all on the same set of bookmarks. I guess it’s back to periodically exporting from my main browser and importing in the secondary ones, unless I find a tool or find the time to read up on the bookmarks formats and write one. This entry was posted in Web Browsers and tagged Chrome, Firefox, Opera, sync, Web, Xmarks on September 30, 2010 by Kelson.